A basic with wow effect? 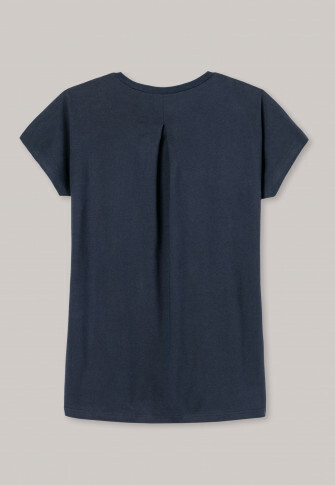 Definitely, girls; this t-shirt from the popular "Mix & Relax" line really has something to it. 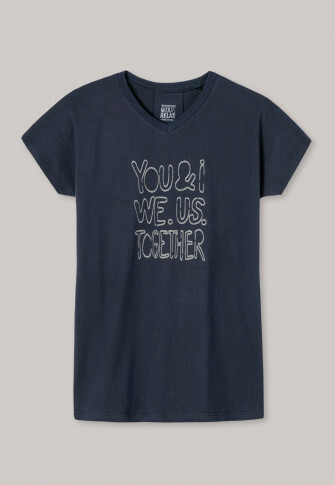 The front wins you over with the ribbed V-neck and gray lettering: "YOO & I, We.Us.Together"; on the back of the short-sleeved shirt the box pleat gives it a refined detail - after all, a beautiful back can also delight! The overlapping, 1/4 length sleeves finish the look off. In short: our new favorite piece for mixing and relaxing!